A stolen phone can leave you feeling helpless and scrambling. We explain the best course of action to take and what you can do to prepare for these types of situations. Most of us have felt it at some time or another: that sinking feeling when you can’t find your phone anywhere and realize you’ve lost it, or worse, that someone has stolen it. Mobile phones and the data they hold are very valuable to thieves. And for similar reasons — they hold so much important personal information of real and sentimental value — a theft can be a huge loss for the owner. The moment you realize you’re detached from your device, your thoughts will no doubt start racing. Where is it? Will I ever get it back? Will a thief be able to access its contents, including photos, videos, messages, and personal information? Unfortunately, the chances of actually getting a stolen phone back are slim. However, if you take the right steps before and after your phone is stolen, you can increase the chance of recovery and limit the damage. In this post, we explain what to do if your phone is stolen and provide best practices for securing a new or existing phone. Here’s what to do when the unthinkable happens and you realize your phone is gone. Some of these steps will depend on what you have done in preparation, just in case you lose your phone or have it stolen (more details on that later). Someone swiped your phone. Or did they? Although you’re normally super careful about always keeping your phone in the same spot, there’s a chance you might have left it somewhere while in a rush. Try calling it first and hopefully you’ll hear it ringing or vibrating. The next best case is that someone picks it up and engages in conversation. For example, if you left it at a café and a good Samaritan retrieved it, you can arrange to get it back from them. No answer when you call? Try using a phone finder app such as Find My iPhone, Google Find My Device, or Samsung Find My Mobile. T-Mobile’s finder app, Lookout Mobile, even lets you sound an alarm if your device is nearby. All you have to do is go to the app’s website from any web browser, log in using your credentials, and follow the instructions to locate your phone on a map. Note that you will need to have these apps set up in advance or they won’t work. If the app says your phone is close by, for example, in your house or in a place you recently visited, then you know you just need to keep looking or go back to the venue and ask a staff member. If it is somewhere you haven’t been and appears to be on the move, then clearly someone else has your phone. And if they didn’t answer when you called, there’s a big chance the phone was stolen. That being said, thieves will usually turn the phone off immediately after stealing it so it won’t show up on finder apps (or it only shows the most recent location). If a thief has left the phone and you can track where it is, it may be tempting to go and confront the supposed thief and retrieve the phone. Law enforcement agencies strongly advise against doing this as it could have dire consequences. Instead, you should contact police (more on that below). As mentioned, it’s important not to confront thieves. There have been cases where this has ended very badly, including one incident in Canada in which a teen was shot dead after tracking his phone and approaching the suspected thieves. If you believe your phone has been stolen, file a police report. Although law enforcement agencies don’t have the resources to investigate every case of a stolen phone, if you’re able to tell them where your phone is (using a finder app), they will be more likely able to help you recover it. Bear in mind, it probably won’t be considered a high priority case, so could take some time. Even if you don’t end up getting your phone back, filing a police report can help in other ways. For example, in some countries, devices that have been reported missing or stolen are added to a nationwide blacklist. This means they won’t work with any networks in the country. If your credit card has been used as a result of your phone being stolen, your financial institution may need your police report number as proof your device was stolen before they will reimburse your losses. In the same vein, most insurance companies won’t pay out to replace your phone unless you provide a police report number. It’s also worth noting here that some police divisions won’t file a report unless you are sure that you didn’t just lose your phone, so be sure you have your story straight before contacting them. US: Contact your local police via a non-emergency number or visit your local police station. UK: Call 101 to report crimes where an emergency response is not required. Canada: Visit your local police website for instructions on how to report your device. Note that some enable you to report a stolen device via a web form. Australia: Visit a local police station or call 131 444 for non-urgent assistance. Note that if the phone theft involved some type of more serious crime, such as burglary or assault, then you should call the emergency number for your jurisdiction. For iOS devices, the Activation Lock is automatically enabled when you turn on Find My iPhone (which needs to have been turned on before the device was stolen). This locks the device so that no one can sign in without your Apple user ID and password. The Find My iPhone app also includes a Lost Mode feature. This will display a custom message on the device which can include a phone number to reach you. To put the device in Lost Mode, go to icloud.com/#find on a Mac or PC and sign in using your iCloud username and password. If you’re absolutely certain you won’t be getting your phone back and you’re concerned about it holding sensitive information, you can perform a remote erase on your phone within the Find My iPhone app. Ideally, you have your phone backed up, so performing an erase won’t result in you losing any information permanently. 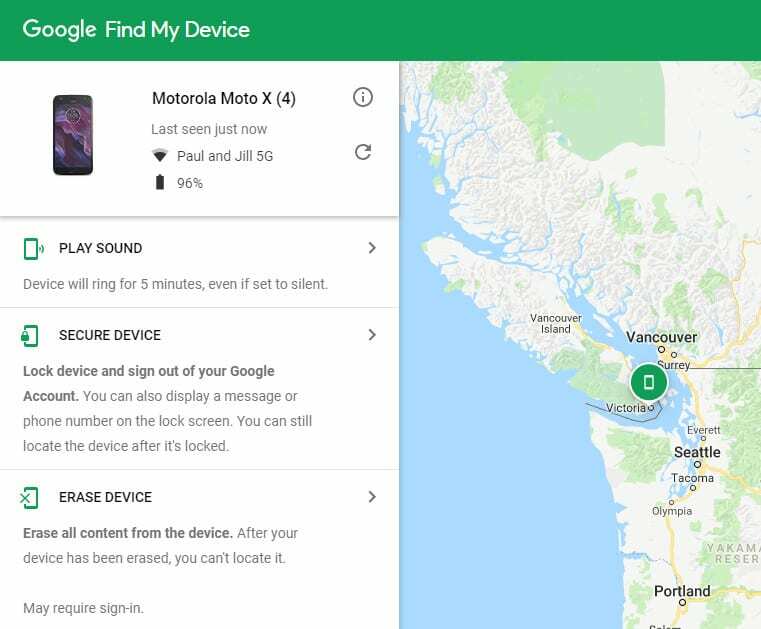 You can remotely lock your Android device via the Find My Device app (which needs to have been turned on before the device was stolen). Use Gmail credentials to sign in to google.com/android/find from a web browser and select SECURE DEVICE. You’ll then be prompted to set a new lock screen password. In the same interface, you can perform a remote erase on your device if deemed necessary. Windows has its own app called Find My Phone, where you can lock your device. In any browser, sign in to windowsphone.com. Click Find My Phone and then select Lock. Follow the prompts for locking your phone which will be different depending on whether or not you’ve already set up password for your phone. Within this application, you also have the option to remotely erase your device. If someone has stolen your phone and has been able to get in to the device, they could easily rack up some hefty call, text, and data charges. Call your provider right away to suspend your service. Additionally, if you’re unable to perform a remote lock or erase yourself, don’t lose hope just yet, as your wireless provider might be able to help. Give them a call, and they may be able to deactivate the device and possibly wipe your personal information from it. 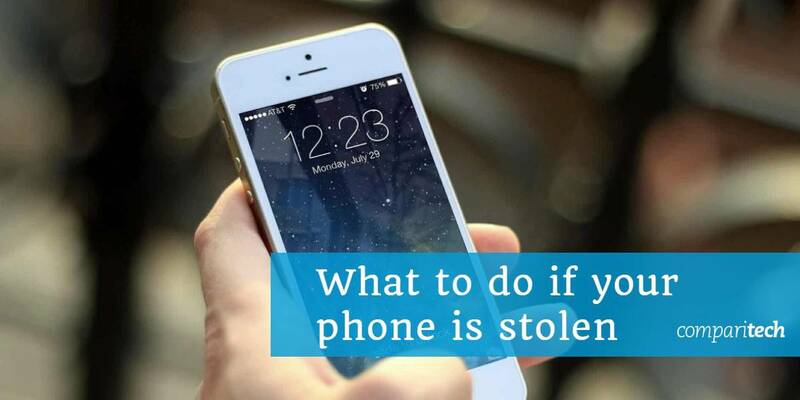 Even if there’s a chance you could get your phone back, you want to be sure that no one can use it for anything while it’s in their possession. Hopefully, your phone is protected with a PIN, password, or pattern, but even those are crackable with sophisticated software. Actually, patterns are often guessed by looking at fingerprint smudges on the screen. Even if you’ve managed to remotely lock or erase your phone, there could have been a window of time where the thief had access. As such, changing passwords for any accounts associated with your phone is a good idea, especially if you have any autosaved (although this isn’t a good practice in the first place). Perhaps most importantly, change your password for the app store so that no one can make app or in-app purchases. Also change your password for your online banking account (if you use the corresponding app) and other financial accounts, for example investing apps. Use shopping apps? Change your passwords for those too. And what about streaming sites like Netflix and Hulu? If you log in to these sites automatically, there’s a chance someone could view your billing information, including credit card details, so you should change these passwords, too. On the subject of credit cards, you should call to let your bank know that your phone has been stolen and ask if there has been any recent activity on your card (which may not show up on online banking immediately). They may even advise you that you should cancel your existing credit card and get a new one just to be on the safe side. You should also monitor your statements in the days and weeks after your phone goes missing and watch out for any suspicious activity. Check for any unauthorized activity on your cards, social media accounts, and anything else that could be accessed from your phone. If you have insurance for your phone that protects against loss or theft, then your final step will be trying to retrieve the value of the device itself (although sentimental value can never be replaced). Can’t remember if you have insurance? You might have purchased it through your provider when you bought your phone. Or you may have it covered under your home insurance, so check with that provider too. Have AppleCare+? 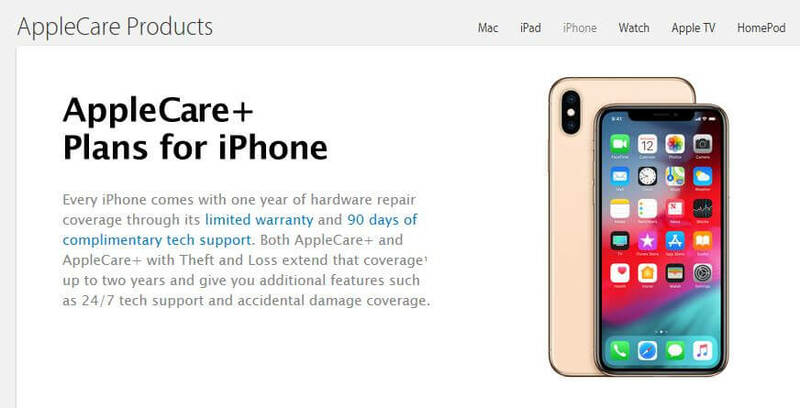 Until September 2018, it wasn’t possible to cover loss or theft through AppleCare. However, the company announced in the fall of last year that they will provide optional coverage. There is one major stipulation to be eligible for compensation: the Find My iPhone app must be activated at the time of the loss or theft. As you can see from some of the steps above, the course of action you take after your phone has been stolen depends heavily on what you’ve done beforehand. Unfortunately, you’re likely reading this post after your phone has been stolen, but nonetheless, you can apply this information to your next phone, or if you’re lucky enough to be reunited with your old one. Keep a record of your International Mobile Equipment Identification (IMEI) number. This might be found in your phone settings or in your online account, or it might be physically printed on the phone (near the battery or SIM) or on the original packaging. You can quote this when you file a police report. It likely won’t persuade the police to actively investigate the case, but if they do happen to uncover your phone, for example, if they arrest someone who has a number of devices in their possession, you have a better chance of getting it back. We mentioned phone finder apps like Find My iPhone and Find My Device earlier. While these may come pre-installed on your device, it’s important that you enable them in order for them to work when you most need them. They can help you in determining whether your device has been stolen or simply lost, give you a better chance of finding your device, and qualify you for certain types of insurance reimbursement. You might also consider installing an app that takes photos after repeated login attempts. Apps like Lockwatch, Third Eye, and Intruder Selfie will automatically snap a selfie after a specified number of login attempts. While these are generally more useful for discovering who, if anyone, is snooping on your phone, they can still help deter a thief. Just the fact that the phone starts taking pictures while they try to log in could be enough to get them to discard the device. Plus, some of these apps tag images with a location, so you know roughly where your phone is at the time of a login attempt. This is handy if you’ve forgotten to enable a phone finder app. Use a strong password, PIN, or pattern for locking your phone. This may sound obvious but as recently as 2016, almost one-third of Android users didn’t use a lock screen. Many phones now have biometric login options available and although these can be frustrating when they don’t work, they are difficult to crack. If your phone is hard to get into, there’s more chance a thief will simply discard it, and it could even be found by someone who will return it to you. Require passwords for any app store purchases and in-app purchases, such as for Amazon. You might consider two-factor authentication for some apps, particularly online banking platforms. With two-factor authentication, a second method of contact will be used to confirm your identity, for example, a code sent via email or text. It’s important to use different passwords for every account and not to save passwords in apps or web browsers. If you have trouble remembering a lot of passwords, you can consider using a password manager. Sticky Password and Dashlane are some good options with apps available for iOS and Android. If your phone is gone for good, the loss of the device itself might not be the worst part of the situation. Having to part with all of the information it holds, such as contacts, calendars, photos, and videos, can be heartbreaking. These days it’s easier than ever to recover just about everything on your phone by backing it up automatically. Both Apple and Google offer automatic backup features that are easy to set up. If you use your phone for work, ask about additional security that might be available. 5. Use best practices when using your phone. Some common sense can go a long way when it comes to keeping your information away from prying eyes. Delete apps that you don’t need anymore and log out of apps after each session, especially for things like online banking. Don’t keep unnecessary information on your phone, and avoid keeping sensitive documents or intimate images on your device. Where do stolen smartphones go? With so many protective measures in place to prevent thieves from actually using a phone, you might wonder what happens to these stolen devices. Since locks have been placed on devices and those that have been reported stolen don’t work with any in-country cellular providers, the number of smartphone thefts is in decline. However, there is still a market for stolen phones, even those that are locked. The good news is that thieves are typically after the device itself and not the contents of your phone. Devices are often purchased by pawn shops, wireless stores (independently-owned), and regular mom-and-pop shops. Where possible, the thieves themselves or the buyers will replace the SIM card and reprogram the phones. This can be fairly easily done if the phone hasn’t been locked by the manufacturer. With some devices, people are able to get around locks by performing factory resets or other methods. Or they may just sell them on under the pretence they are unlocked. Other devices are sold for parts, while many end up overseas. It’s unclear if foreign carriers can bypass locks put in place in the country of origin, but this may be a potential scenario. Some devices are worth many times overseas what they would be in, say, the US or the UK. 2.5 5. Use best practices when using your phone. 3 Where do stolen smartphones go?